When done right, pan-fried potstickers and dumplings have this golden, crispy bottom and juicy potsticker filling. The delicious wizardry of steam-frying helps the potsticker skin crisp up while ensuring even cooking and retaining moisture. It's incredible eats that you can replicate at home. The whole process should take about 20 minutes or so. You need a non-stick frying pan and a lid. Don't bother thawing the potstickers beforehand; the steaming cooks them all the way through. You need a tablespoon of oil and put the potstickers in the pan as if you were to fry them. But you're also going to also add enough water to submerge the potstickers about a quarter of the way up. Then you cover it with the lid. 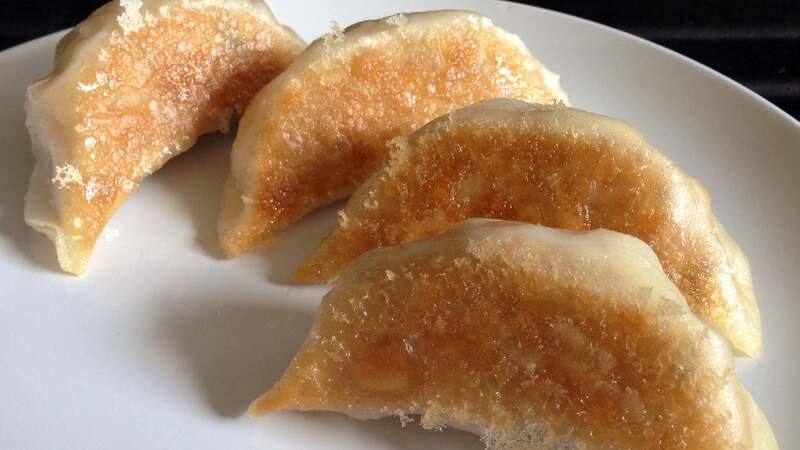 The water evaporates as it turns to steam, the oil browns the potstickers, and use chopsticks (or tongs) to gently fish out these crispy, doughy perfections.